Initially, the only requirement for my pattern making final was a packed layout in two colors. I was very excited because when I doodle, I often fit the elements together just so and this assignment was right up my alley. A week or so later, however, the instructor changed her mind and decreed that the print must be autobiographical in some way. I was crestfallen. I didn’t want to talk about myself, I am myself! Why should I have to explain anything to others? Reluctantly, I started thinking about what it is that makes me “Claire”. At first, I was so stubborn, I was going to just draw what I had planned on drawing and assert that, as a contrarian, it was autobiographical. But then, slowly but surely, I began to remember moments. 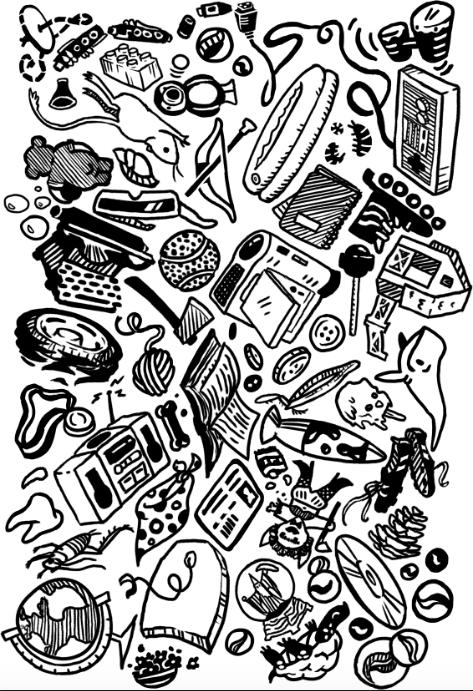 I would pick out specific objects from various memories and draw them. Some of these memories hadn’t been accessed in so long, they startled me when I could recall them with such clarity. Inside jokes, old past times, so many things packed into just a couple of decades! 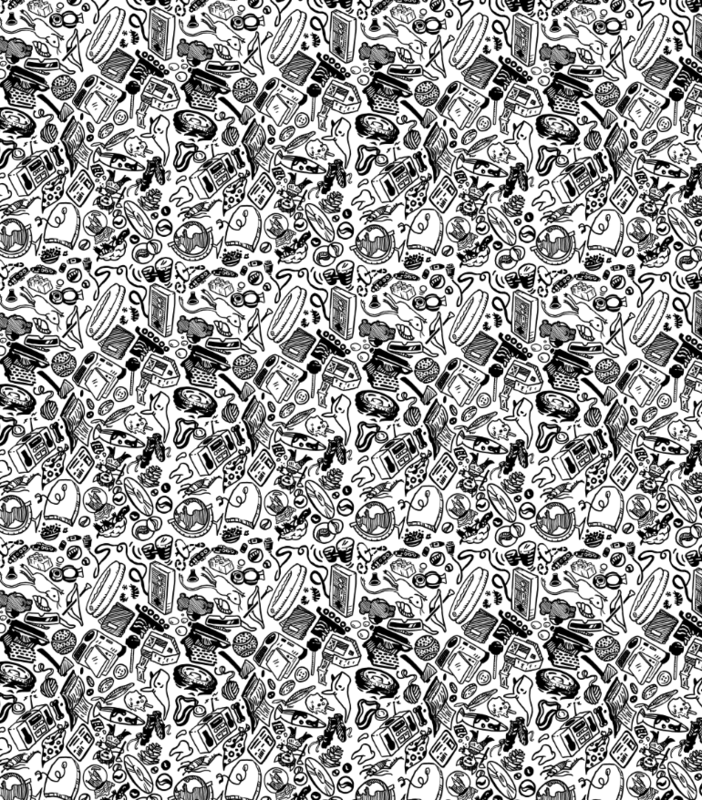 Unfortunately, the photo emulsion was too gloppy and was unable to capture such fine lines, and I had to rework the pattern. Because everything had to be bigger, I was forced to choose fewer elements. The print turned out great, and in hindsight, I think the first one would have been too busy. See if you can spot the repeat!